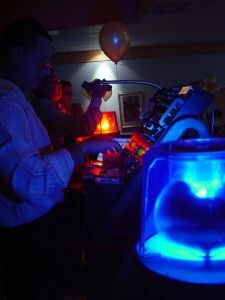 For over 20 years DJ Nickie K has entertained in Boston's Night Clubs, and provided entertainment for weddings, private functions, bat mitzvahs, bar mitzvahs, and major corporate events throughout Massachusetts, New Hamphsire and Rhode Island. When choosing a disc jockey you want someone knowledgeable and versatile. Those are the qualities that make DJ Nickie K oustanding in his field. Whatever the event is, you want it to be enjoyable, memorable and customized to fit your needs. DJ Nickie K will customize a dj package fit for your needs. To request more information please fill out the form below.